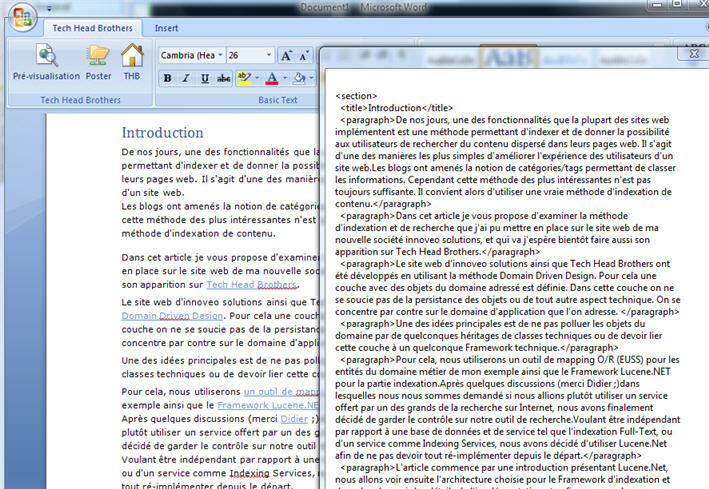 Here is a first result of a Word document in which I extract the different section, title and paragraph that are injected in a well formed XML document using my XML Schema. Not bad after only some hours of work! It is leveraging LINQ to XML to parse the WordML and build my targeted XML Document. Aurel, Redo: What do you think?